Each year during Lifeboat week we ask local shops and businesses to dress their windows with a nautical theme or simply fly a flag. We then send out our judge to find the best 3 windows. 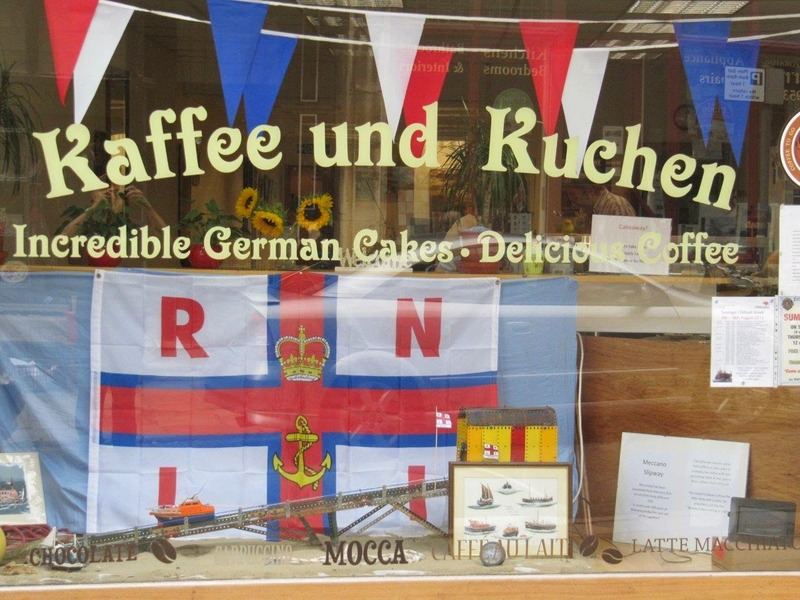 The efforts put in over the years have been excellent, take last year's winner by Kaffee und Kuchen for example. Note the meccano slipway and lifeboat station! There's still time for your business or shop to show its support, call the lifeboat station on 01929 423237 if you'd like a flag to fly. Lifeboat Week 2014 - day 1 = done! Have you built a raft for our race on 16 Aug yet? Only a week to go, have you got your events list? Swanage RNLI Lifeboat Station. Awesome Inc. theme. Powered by Blogger.